Picture yourself standing upright on one of the largest surfboards you can imagine. But this one is bigger and has a nice cushioned deck. 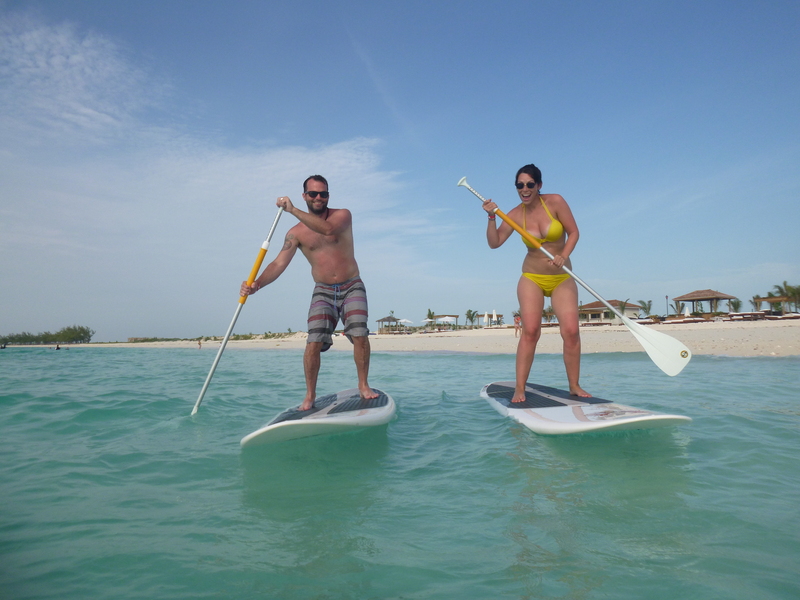 Now grab your long paddle and slowly drift through our mangroves, along our inner shore, or even up the beachfront at your own pace. This is the fastest growing water sport in America and the Caribbean. Join in the craze and find out why it is anyone can do this in almost any setting on the water. For a rest, you just sit down, stretch out and maybe pop your cooler for a cold one. With just a few minutes of instruction you are off to explore in a whole new way. 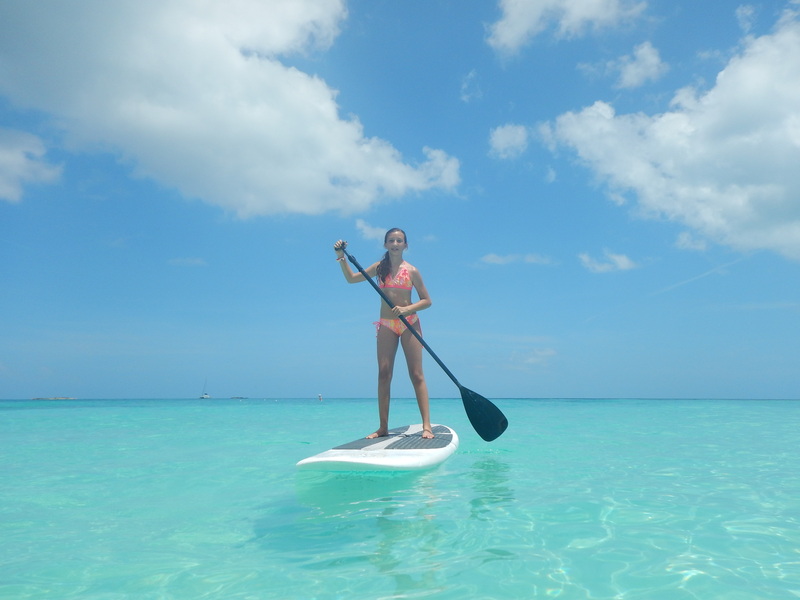 Bimini offers ideal natural water conditions to enjoy. From the protected shallow waters in the Bayside to the North Bimini shore, you will find unbeatable sites to enjoy a fun adventure.